At some point you will find a mysterious screw laying near furniture or an appliance, such as a washing machine or a sofa. Where did it come from? More importantly, what is the screw no longer holding together? Sometimes we can find the screw's proper home and feel handy as we put it back in. Other times the mystery endures and the screw ends up in a jar or drawer, evoking an unsettled feeling whenever we see it. Shakeproof washers are designed to prevent a screw from coming loose. Among this assortment is a shakeproof washer with internal teeth. A washer is typically a flat metal disk with a hole in the middle that is paired with a screw. The washer can serve several purposes, including distributing the screw load, which helps to prevent damage to the material taking the screw. In the case of a shakeproof washer, the metal disc also works to keep the screw in place, absorbing vibration and sometimes also providing a resilient spring action, depending on how the washer is designed. 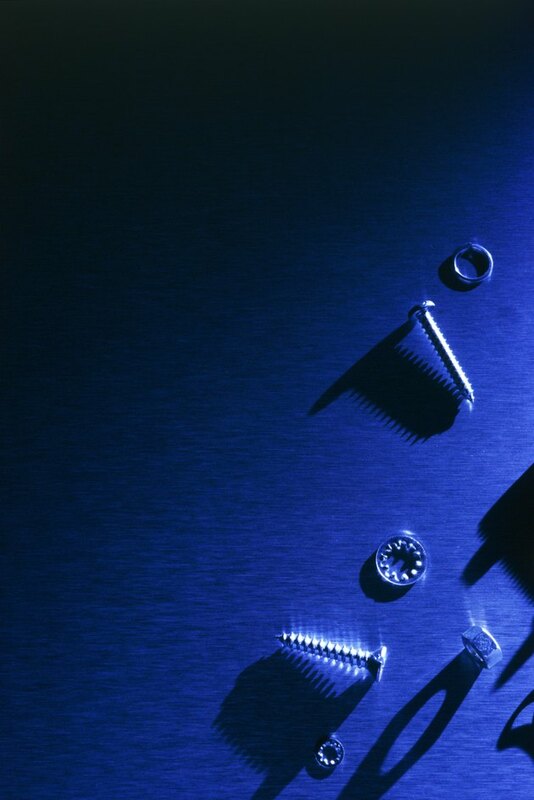 Because shakeproof washers are made to hold a screw fast, they are also known as lock washers. Shakeproof washers work by way of teeth or a deeply serrated edge. The teeth of the washer cut into either the material the screw is entering, the screw itself or both. The washer can also be used in tandem with a nut, the washer gripping that hardware instead of the screw. Once the teeth are hooked in, it becomes hard for vibration and weight to budge the screw. Shakeproof washers come in four basic types, each working best in different scenarios. The external type features teeth on the outside rim of the disk so the washer looks like a gear. Washers with external teeth most resist torque -- twisting force -- because they grip the largest surface area. The internal type has teeth on the rim of the washer's center hole. When the washer will show, the hidden teeth make for a more attractive finish. Shakeproof washers can feature teeth both internally and externally for a combination type of washer. Finally, the countersunk type of washer can be used with flat head or oval head screws that have angled sides. There are many variations in shape and size within the four types and choosing just the right washer for a particular job is worth the investigation. Since a number of other and more reliable methods exist to lock nuts and bolts in place, shakeproof washers are used when locking is desirable, but not critical. Around the house, shakeproof washers are used in items such as washing machines and lawn mowers. Before using a shakeproof washer, consider whether you'll need to unfasten the screw or bolt in the future.